BBC Four dubbed Paul Carrack The Man with the Golden Voice in its 2012 documentary, describing him as “a journeyman of British rock, soul and pop whose career has unfolded slowly and steadily until he has become something of a national treasure”. After spending “years as piano man and vocalist for hire with acts such as Roxy Music, Eric Clapton, Ace and Mike & the Mechanics” (Scotsman), Paul has built up a hefty body of work as a solo artist from 1980’s Nightbird to latest offering Rain or Shine. 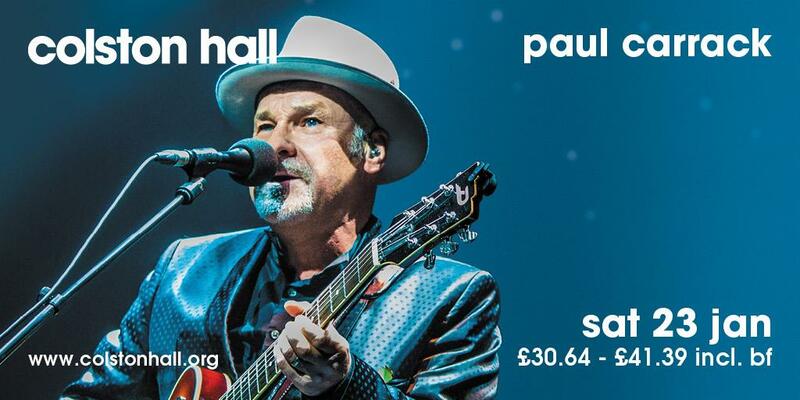 Now hailed as “The Man with the Golden Voice” and a “national treasure” by the BBC, Paul Carrack first put his talent in front of the wider British public as the frontman of Ace. After a spell as a studio member of Roxy Music, his solo career took its bow in 1980. Alongside it, and the brief spell in Squeeze that yielded ‘Tempted,’ he became the vocalist-keyboard player of choice for everyone from the Pretenders to the Smiths. His tenure with Mike & the Mechanics contained classic lead vocals on such major hits as ‘The Living Years’ and ‘Over My Shoulder,’ before setting up Carrack-UK and producing a string of assured albums, containing such landmark songs as ‘Satisfy My Soul,’ ‘I Live On A Battlefield’ and ‘Eyes Of Blue.’ He wrote for the Eagles, who made anthems of ‘Love Will Keep Us Alive’ and ‘I Don’t Want To Hear Any More,’ and has collaborated with legends from Roger Waters to Ringo Starr to B.B. King. @PCarrack brilliant show @Colston_Hall! My 1st ever show and I'll definitely be back! 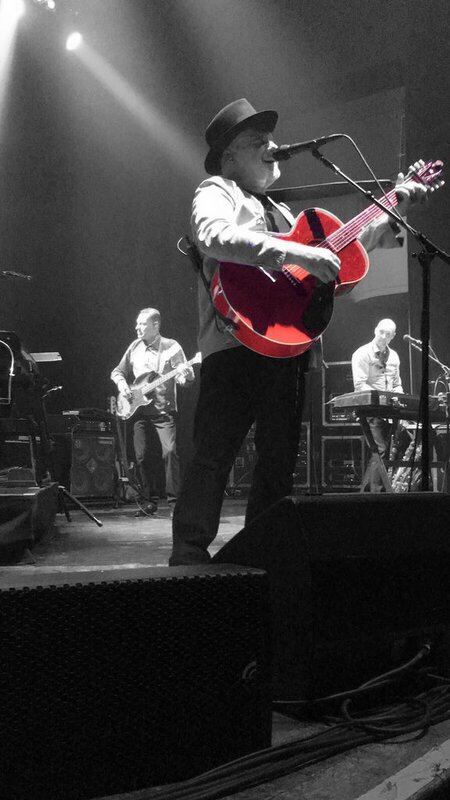 Just been to Paul Carrack concert at Colston Hall, Bristol, absolutely BRILLIANT! Paul Carrick @PCarrack #show107912 Doors 7.00 Robert Vincent 7.30 Paul Carrick 8.20 End10.00 Times and info subject to change.